There is a good guide at lifehackers with a rather large title: "How to format your hard drive and install Windows XP from scratch". The article lists the obvious things that you need which are: A pc, a windows installation disc, other software that you would like to install, optional up to date drivers for your hardware and a (optional) backup internet connection to download drivers / other software in case of emergency. A friend of mine asked me to take a look at his computer because it reacted slowly and took ages to boot. He was running windows xp home and shared the computer with his wife and his two lovely girls who unfortunatly decided to install lots of "female" orientated applications like riding games, animated screensavers and the like. After getting rid of 185 spyware entries I told him that he could speed up his pc which had only 256 Mb if he would disable some features of windows xp. Its late at night and I can´t sleep, I thought i try this complete list of all windows xp command line tools and parameters to finally fall asleep but even that is not working tonight. Now this article over at tomshardware.com comes in handy. I told you yesterday how to encrypt your hard drives with the great true crypt freeware and recommended that everything would be encrypted and the system would be booted from usb. The people over at comcast have written a free troubleshooting guide for windows xp systems. There is of course no 100% fool proof way to fix a windows xp system, the problems that can occur are manifold and no article can ever deal with every possible error. 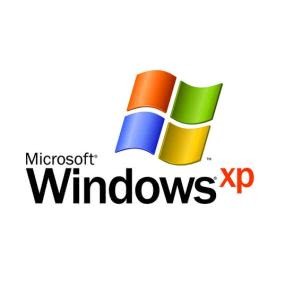 Everton Blair over at connectedinternet.co.uk wrote a nice beginners guide on how to increase the speed of your windows xp operating system. Help2go has some useful information about why every windows user needs a linux live cd. First, you need it if you need information out of your computer and windows seems to have a problem starting or behaves abnormaly just in the moment you need it most.